 Jetting Services Direct are a checkatrade approved drainage company, offering a two hour response time for blocked drains in Sidcup and Blackfen, 24 hours a day, 365 days a year. What customers in Sidcup do we work for? First of all, there is NO call out charge to visit your Sidcup property. We charge a fixed fee to unblock your drains. There are no extras. You would be surprised how many other companies will offer a small fee over the phone and when the work is done, other charges will appear. If our drain engineer visits your home in Sidcup and finds further problems with your drains, we can quote you for this, and you can decide whether to proceed or not with the additional work. If you are not sure what you might need, please get in touch for FREE help and advice. What areas of Sidcup do we cover? If you have blocked drains, but aren't sure if your property is in our area, please just ask. Why choose us to unblock your drains? What do customers in Sidcup think of our work? We ask our customers to add feedback to our checkatrade page, once the work has been done. 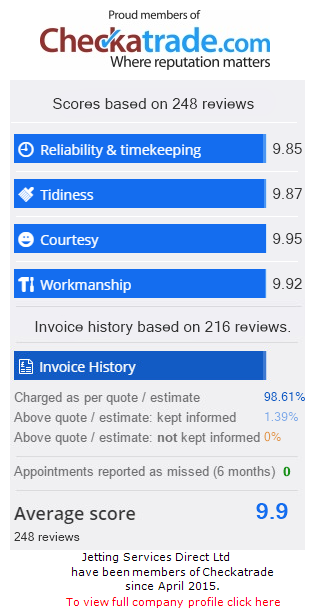 Our checkatrade latest is 9.89 out of 10 from 286 reviews - Sidcup customers like what we do! For a FREE no obligation quote for drain cleaning, blocked drains, drain repairs or drain surveys in Sidcup, DA14 or DA15, please email enquiries@jettingservicesdirect.co.uk or call 020 3151 4388.